Home / Financial Advisors / Financial Advisor Center / Why Is Apple Hiding Its iPhone Unit Sales Numbers? Apple is not winning investor support by being more opaque with iPhone unit sales. That could hurt shareholders in the near-term. Whenever a company becomes more opaque with its business, investors are worse off. Sure, you can expect analysts to do their own homework in figuring out how many iPhones Apple Inc. (NASDAQ:AAPL) is selling. You can even reason it by believing that Apple’s biggest competitor, Samsung, probably shouldn’t know more than it needs to know … but either way, Apple’s decision to stop sharing iPhone sales numbers will set investors back. Which is why the punishment in AAPL stock over the past few days has been well-deserved; so much so that its old rival, Microsoft Corporation (NASDAQ:MSFT) may permanently earn the title of largest publicaly traded company very soon. Apple said on its last quarterly report that it will no longer share iPhone unit sales. The reason is clear: the company wants the world to notice its total revenue figures and not unit sales numbers. Its wildly successful services business brings in healthy profits. 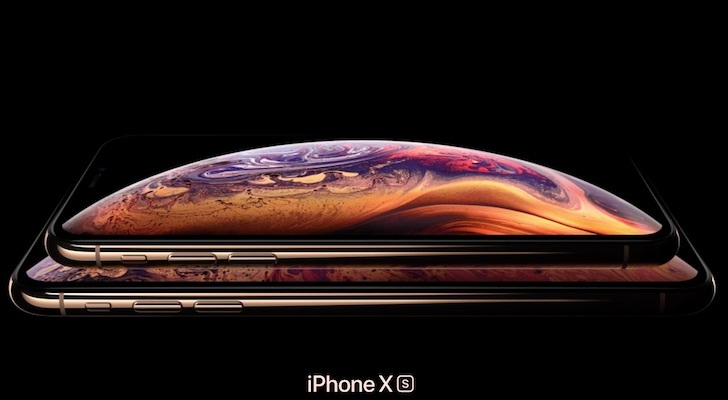 And when Apple is raising its ASP (average selling prices) for premium iPhone XR and XS devices, consumers will think twice about upgrading. Think about which iPhone will give the biggest value to the consumer. The iPhone 7 starts at just $449. By “settling” for a physical home button, a small 4.7-inch screen, and less pretty display, consumers pay less than half the price of an iPhone XS, which starts at $999. An iPhone 8 is marginally better than the 7 and starts at $599 for 64GB of storage. This is more than enough for the average user. With this model, the home button has a haptic touch feel and the device is water-resistant. Stepping it up on the iPhone X series is not a big enough technological leap to justify the upgrade. The home button is on the screen and the device is unlocked with Face ID. So what? Is a fingerprint scan not good enough? Competitors like Huawei and Samsung both offer Face scanning to unlock the device and their devices don’t cost as much. In the fourth quarter, Apple reported its best quarter revenue for services at $10 billion. That’s twice BlackBerry’s (NYSE:BB) market capitalization! Services grew 27% after excluding a one-time accounting adjustment of $640 million. But here’s the problem: if the company adds fewer new customers in the future, Apple will rely on the existing user base to grow services revenue. Will iPhone users likely spend more on Apple Music or raise their storage plan on iCloud? Already, markets are discounting the stock in anticipation of a revenue slowdown in Services. Shares are valued at just below 15 times. The forward P/E, assuming EPS grows by 10% next year, is at a low 12.2 times. Microsoft, by comparison, is valued at double that of Apple’s P/E multiples. Microsoft’s revenue mix is more diversified. The software giant sells the operating system (Windows), hardware (Surface and Xbox) and cloud services (Office 365). Source: finbox.io – click on this link to change these revenue growth assumptions. In this five-year discounted cash flow (DCF) Revenue Exit model, the implied downside risk is Apple stock falling to around $155 a share. The chances of Apple underperforming to the $150 level is highly unlikely but not impossible. It will take a sales slump in the iPhone XR and XS this holiday season to send shares lower in 2019. Keep an eye on iPhone sales news in the weeks ahead. As of this writing, Chris Lau does not own shares in any of the companies mentioned. Article printed from InvestorPlace Media, https://investorplace.com/2018/11/why-apple-aapl-stock-hiding-iphone-sales/.